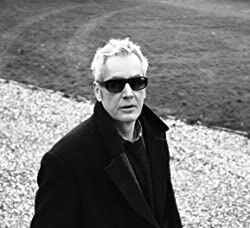 Roderick Gordon, born in 1960, spent his childhood in London and after surviving a rather severe boarding school somewhere in the Midlands, returned to London to attend university where he dabbled in genetics and listened to Joy Division. After graduating without the faintest idea what he wanted to do, he played in a few bands before somehow stumbling into a job in corporate finance with an investment bank in the City of London. He genuinely thought this was all that the future held for him until he was made redundant in 2001. Roderick surprised himself by attempting to write a book with help from an old friend from university and, in 2005, he self-published it as The Highfield Mole, which caught the attention of Barry Cunningham, founder of Chicken House, a publisher of children’s books. Following a period of editing, Barry republished it as Tunnels in July 2007. Roderick currently lives in Norfolk, England, with his wife and two sons. Click here for more stories by Roderick Gordon. The Circle in the Spiral (Tunnels) — (2005-2008) Ages 9-12. Tunnels was previously published in the UK under the name The Highfield Mole. Publisher: 14-year-old Will Burrows has little in common with his strange, dysfunctional family. In fact, the only bond he shares with his eccentric father is a passion for archaeological excavation. So when his dad mysteriously vanishes, Will is compelled to dig up the truth behind his disappearance. He unearths the unbelievable: a subterranean society that time forgot. “The Colony” has existed unchanged for a century, but it’s no benign time capsule of a bygone era. Because the Colony is ruled by a merciless overclass, the Styx. Will must free his father — is he also about to ignite a revolution? 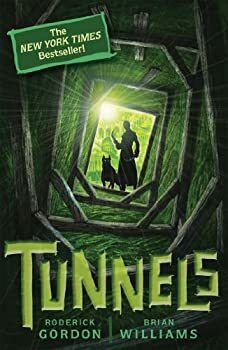 Tunnels is the first book in a new YA series that has gotten a lot of hype recently. How does it live up to the hype? In mixed fashion. The book focuses on Will Burrows, son of amateur archaeologist and local museum curator Dr. Burrows. The two go on amateur digs together and a reference is made to a large discovery Dr. Burrows made that was “stolen” by a more famous archaeologist. We learn all this relatively early and are further introduced to Chester, Will’s new friend and fellow outcast at school; his TV- obsessed mother who stays zombie-like in the living room; his precocious 12-year-old sister who runs the family’s finances and shopping; and a group of mysterious men who wander the streets clad in dark overcoats, hats, and sunglasses.